I really wish that Stylenanda would come to the Philippines soon. And 3 Concept Eyes, too. I definitely need more of these lip crayons in my life because they're so nice. Especially this shade. I got this from a trip to Hong Kong last year. I actually wasn't able to make it to an official Stylenanda store, I just saw this store somewhere in Prince Edward that was selling Korean makeup. I went in, and am attracted by the 3 Concept Eyes display area. 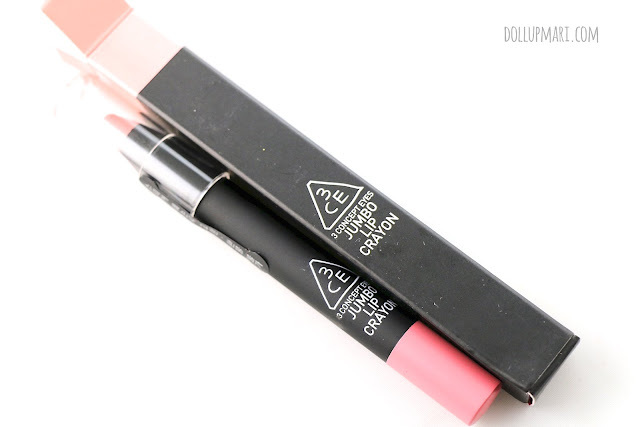 I walk out with a blush, this lip crayon, and their lip pigment. 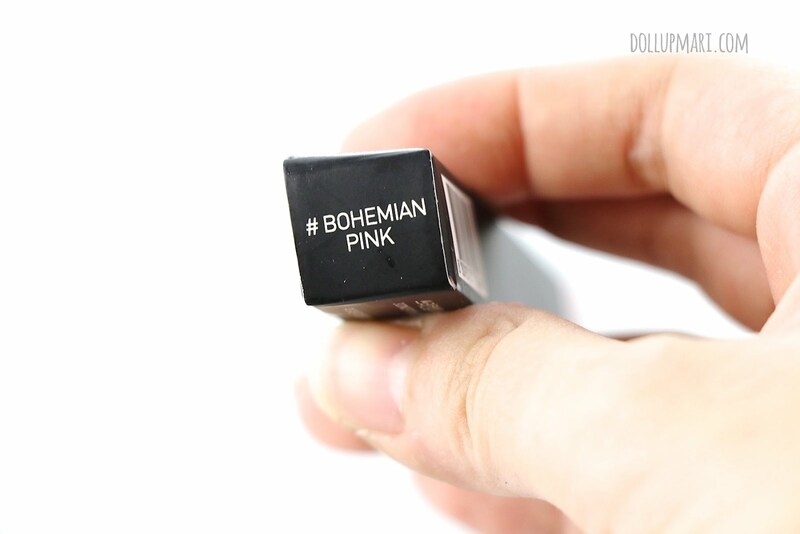 This shade I got is in Bohemian Pink. There are 5 other shades, I think. This pencil is relatively simple. It's not retractable, and needs to be sharpened. And it comes with a safety seal on the sticker. This is how it looks like. 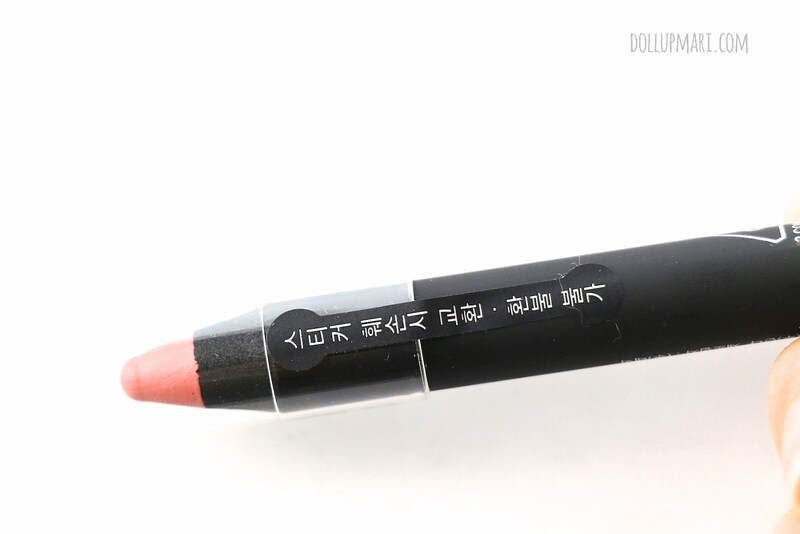 Amusingly, on the pencil, it looks very coral and salmon in color, but in real life, it's more of a pink with a very very light touch of beige. This is shown by the swatches. This is very mellow as the shade's name implies, or am I the only person who associates mellowness with Bohemian? The thing I love about this is that it's so buildable. 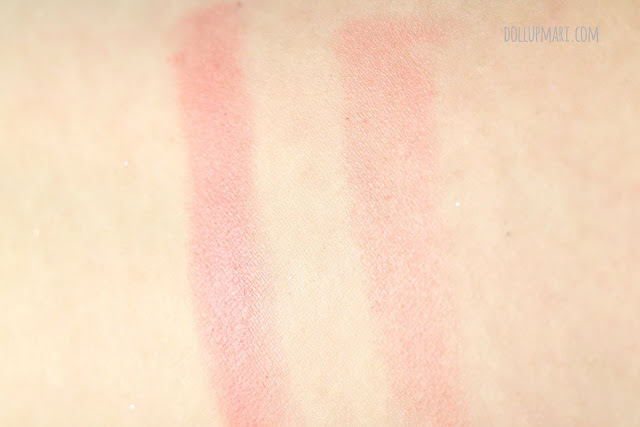 I can apply a very thin layer just for the sake of having some product on my lips. But at the same time I can also apply a lot of it for a very opaque color. In this photo, I applied a very thin layer, so you can still see the dead skin on my lips hahaha. 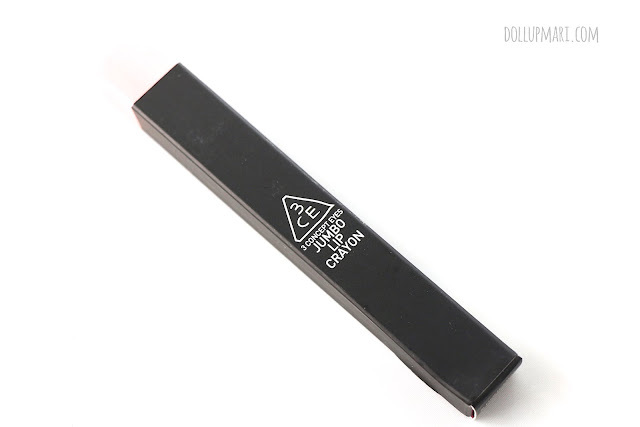 This is one of my favorite MLBB lipsticks to use because I just love the texture. It's got a very comfortable wear on the lips, and it is very long lasting. It's so creamy and emollient that it stays on the lips for a long time, and I don't keep on retouching when I use this one. 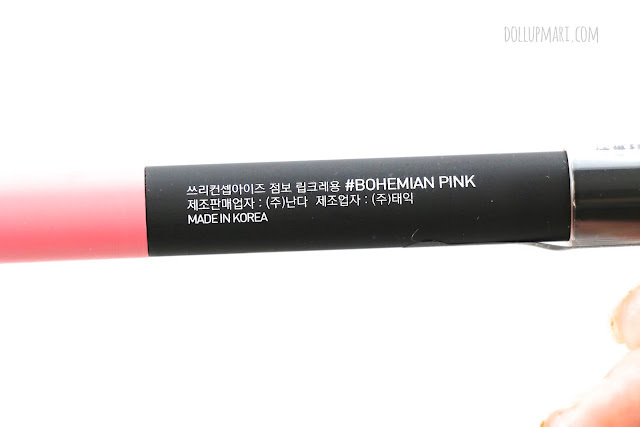 I actually feel that if someone were given a blind test between this and a MAC lipstick, the tester would not be able to feel the difference texture wise. I also just love how perky the color is. It's so mellow that I can wear this anywhere, be it on a normal day, or to an evening engagement. It's also so flattering that it's really just there to enhance the look of the lips, not to take attention away from the eyes. 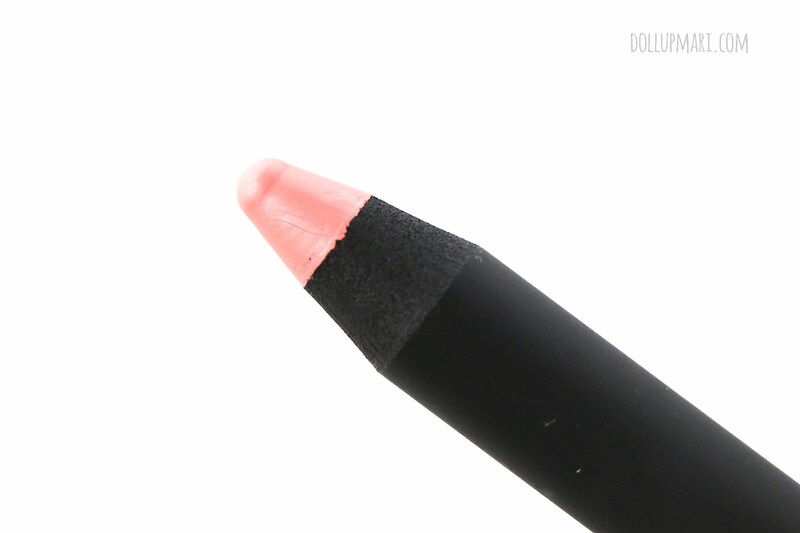 The only thing I have a hard time about is sharpening this one because the lip crayon is of course, so soft and mushy, that one wrong turn on the sharpener and I can kiss the lipstick goodbye. I think my pencil has got so short now because I keep on breaking it hahaha. I have just learned to settle with sharpening it a tiny bit to make sure that it doesn't break. I kid you not I was never able to achieve the length on the unsharpened, newly used pencil you see in this blog post ever again. I definitely want all the other shades. Whew. I think trendy ngayon ang lip crayon (My boss gave me from Paris a lip crayon) Very nice ang mga shade, light lang at natural looking!